The Holy Koran of the Moorish Science Temple of America (often called the The Circle 7 Koran / Circle Seven Quran), teaches that all Blacks are of Moorish origins but have had their Muslim identity taken away through slavery and racial segregation. 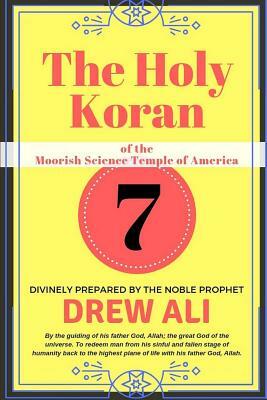 The Prophet Noble Drew Ali advocated a return to the Islam of our Moorish forefathers, offering redemption from racial oppression by reclaiming our historical spiritual heritage. While incorporating Islamic rituals and practices, this was truly a new American Koran. a prophecy of the imminent "uplift of fallen humanity." The Prophet Ali combined elements of diverse traditions to bring a message of personal transformation through historical education, racial pride and spiritual uplift. His doctrine affirms a strong African-American identity, and promotes civic involvement.